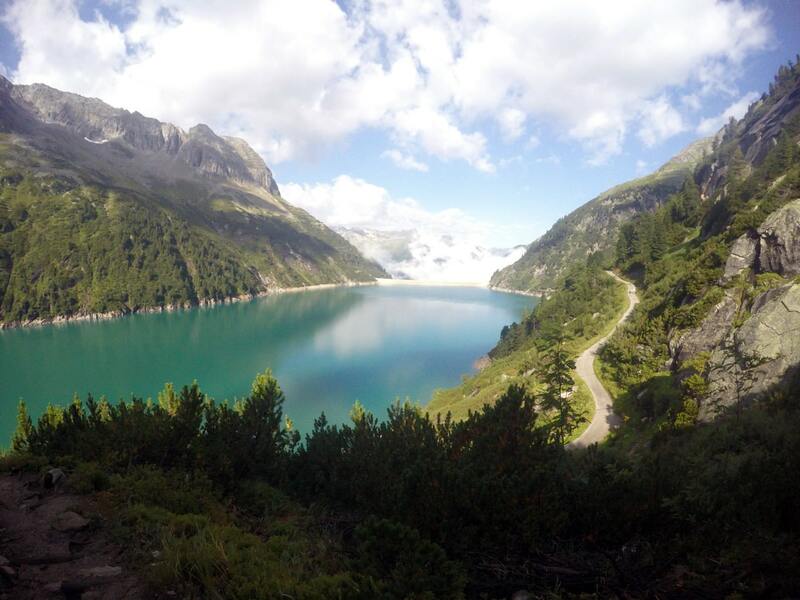 The Plauener Hutte route is a stunning hike near Mayrhofen that has it all including incredible views of mountains and the Zillergrundl reservoir. 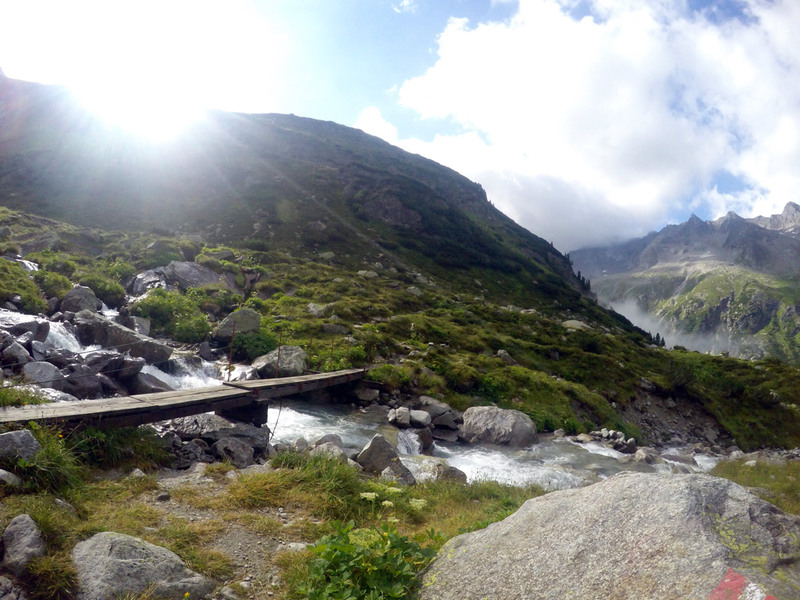 Get up to the Plauener Hutte for a wonderful snack or meal, before the stunning hike back. Head northeast on Am Marktpl. toward Einfahrt Nord, turn left onto Einfahrt Nord. 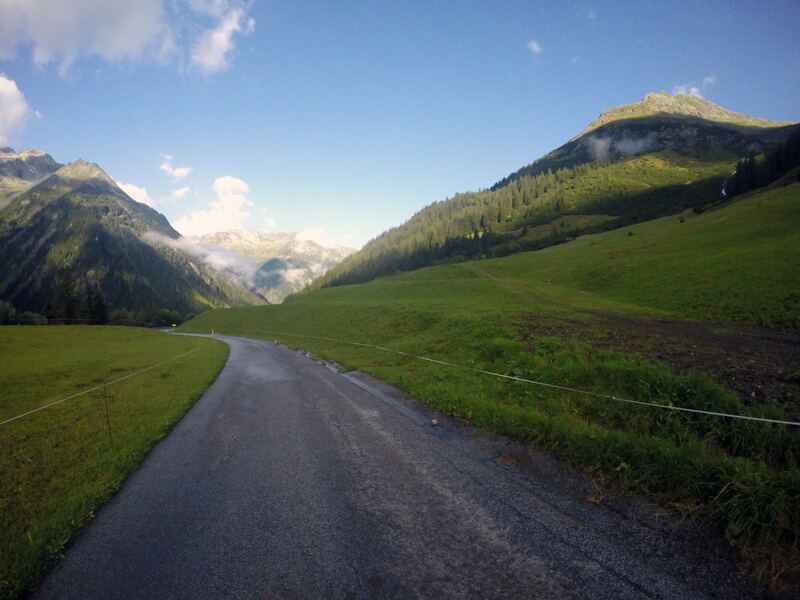 At the roundabout, take the 1st exit onto Zillertal Str./B169 and then turn right onto Laubichl. Continue onto Brandbergtunnel. After the tunnel, take a left to get to the toll station. Toll fee is approximately €8. 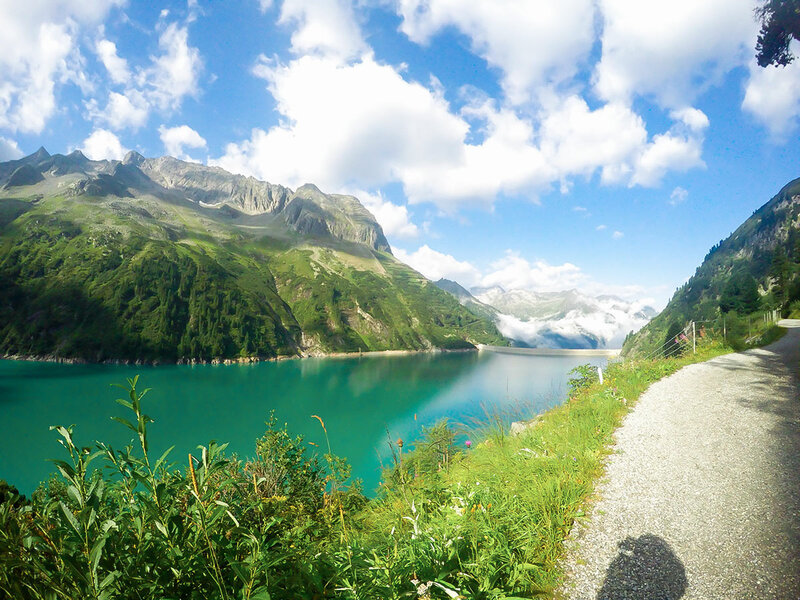 Follow the road to the Bärenbadalm. 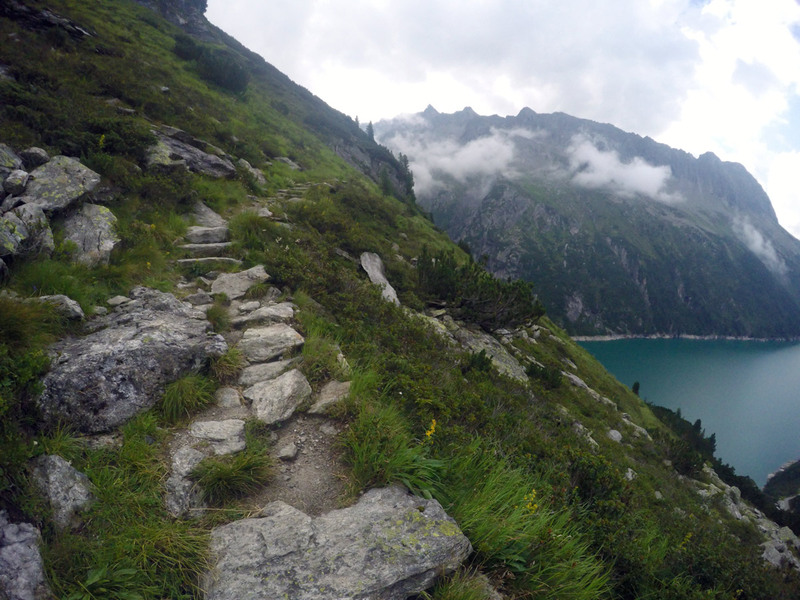 Check Insider Tips below for how to take the bus to the start of this hike. 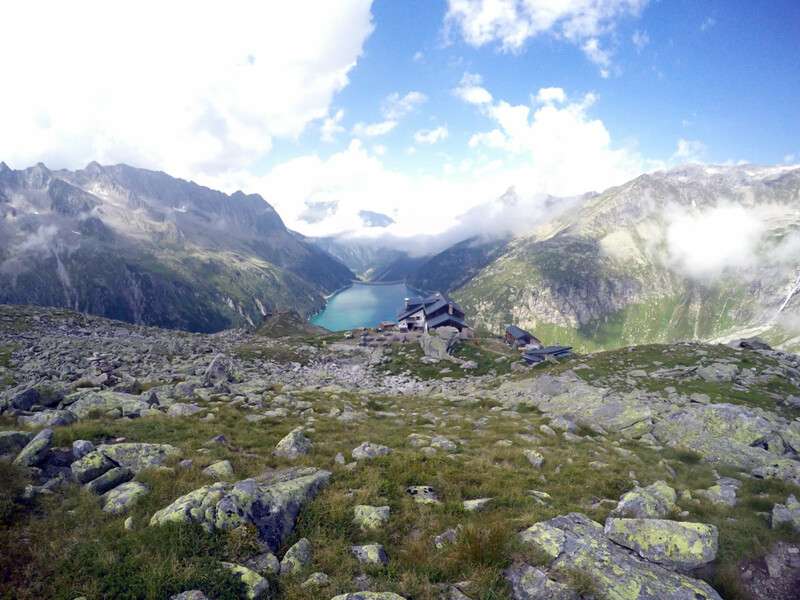 From the Bärenbadalm, walk along the road, and turn right, away from the asphalt road, passing a small private hut. Follow the red marks on stones as the path leads you through woods. You come out of the woods on the road and walk along it for 400m. Ahead you can see the imposing dam high above. 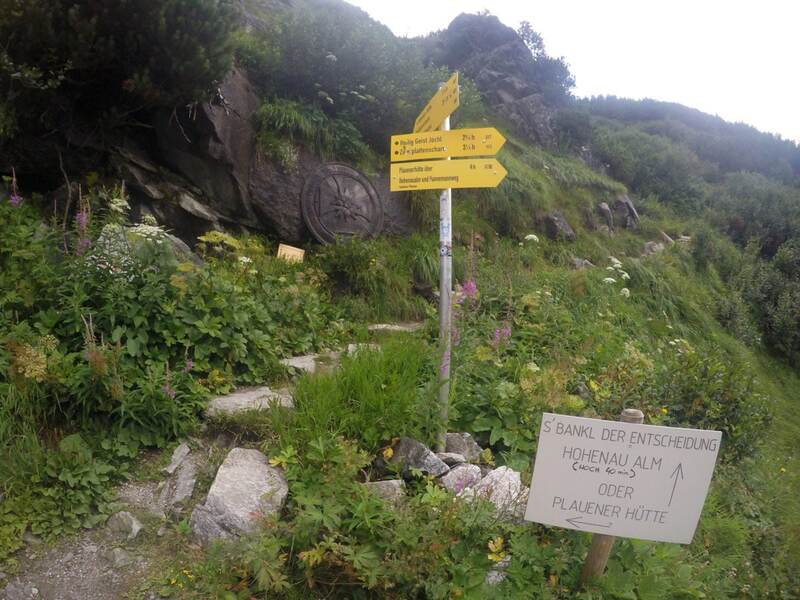 The next yellow sign to your left leads you to Adlersblick and Plauener Hütte. You will wind switchback your way up through the wood, crossing the road twice before reaching Adlersblick. 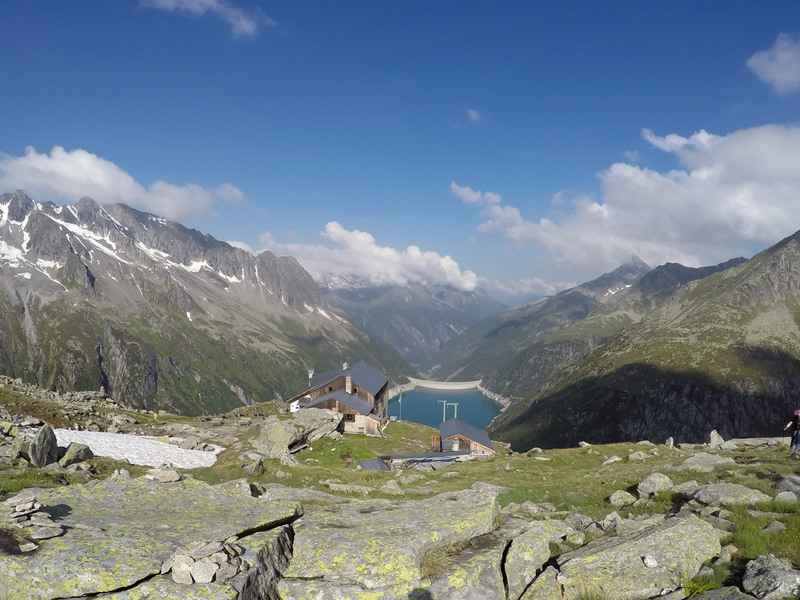 Adlersblick is a great little hut with good food. 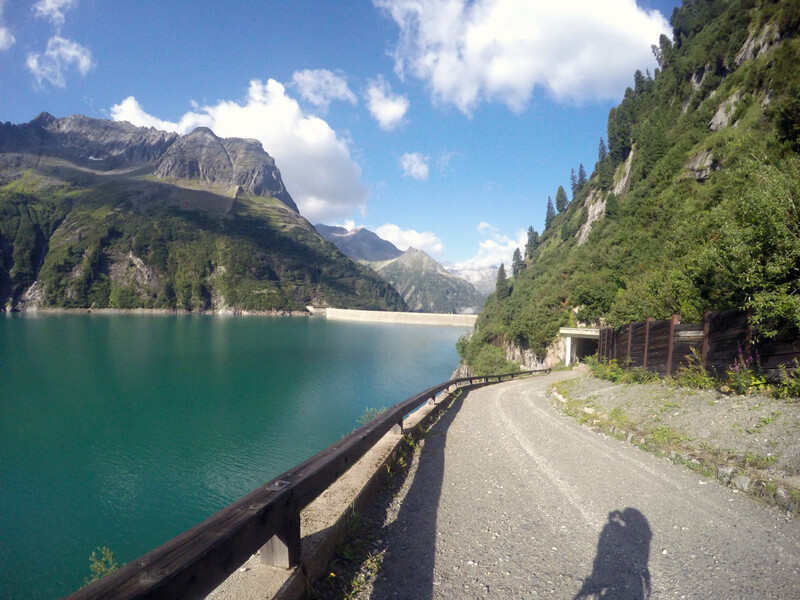 From here you will make your first impression of the beautiful reservoir and the mountains around you. 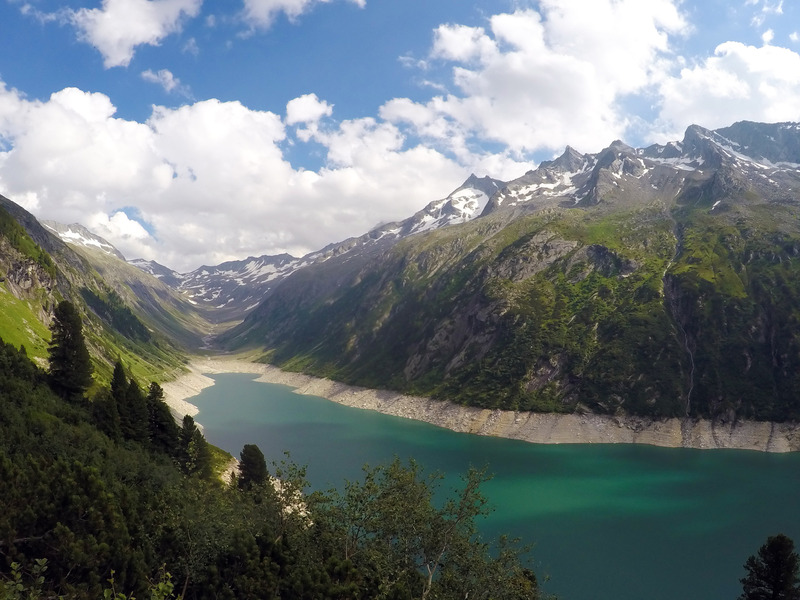 From here, walk through a tunnel and along the left-hand side of the Zillergrundl reservoir until you reach an intersection with signs in two directions saying to get to the Plauener Hütte. 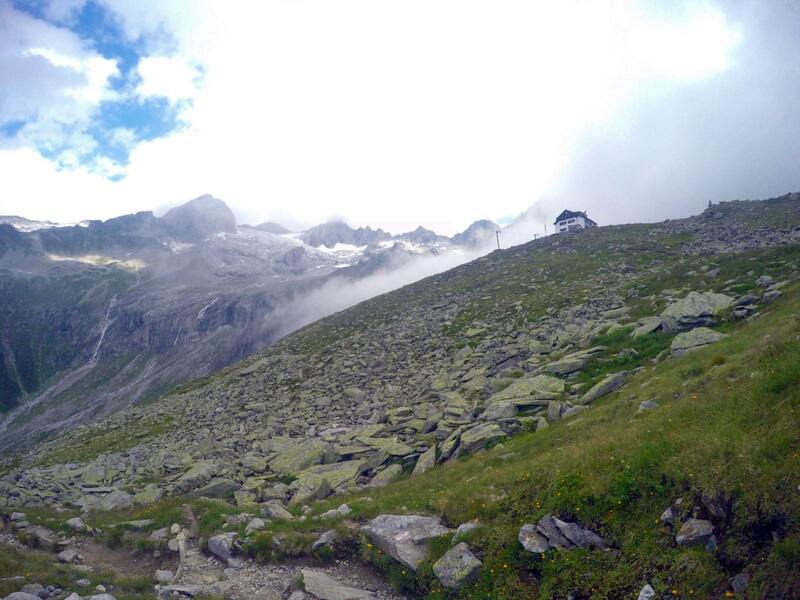 To save kms, take the left one and hike up the small path until you reach the hut. 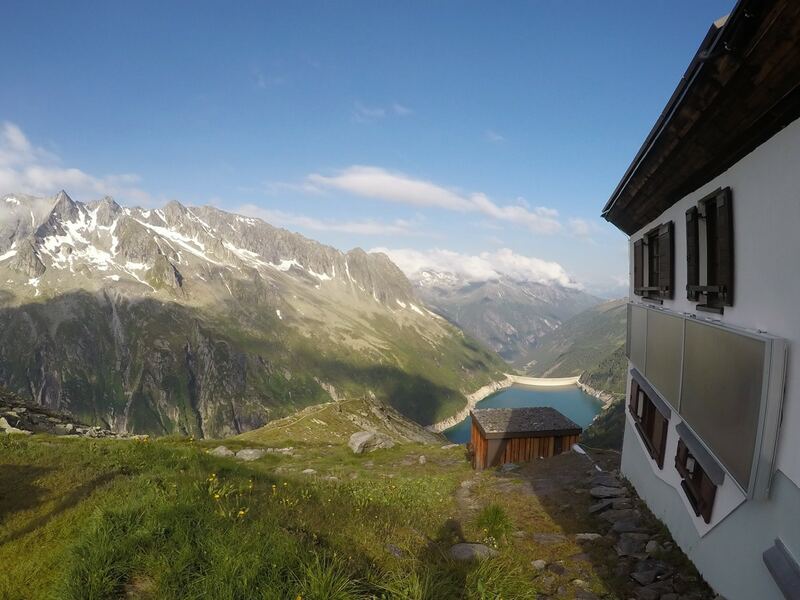 The Plauener Hütte is a wonderful mountain hut, offering meals and overnight accommodation. Our map shows an optional excursion up to the Rainbachköpfl. Ask at the Hut for details on the trail. To return, follow the same path in reverse. 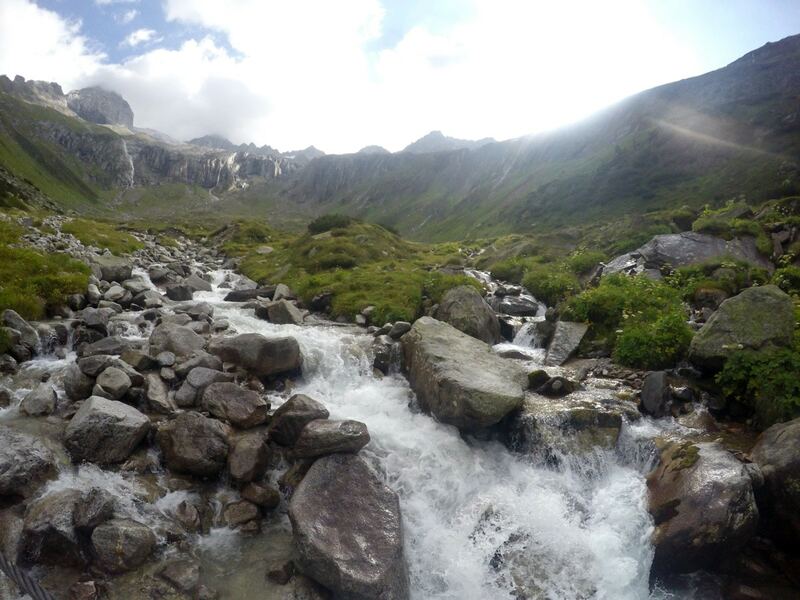 Note that when you are walking along Specher Zillergrundl, our map also shows a quick excursion on a path that takes you down closer to the water. It is also possible to park in Mayrhofen and take the bus from the train station up to Bärenbadalm or all the way to Zillergrund.  Bus fee is approximately €4,50 per person. 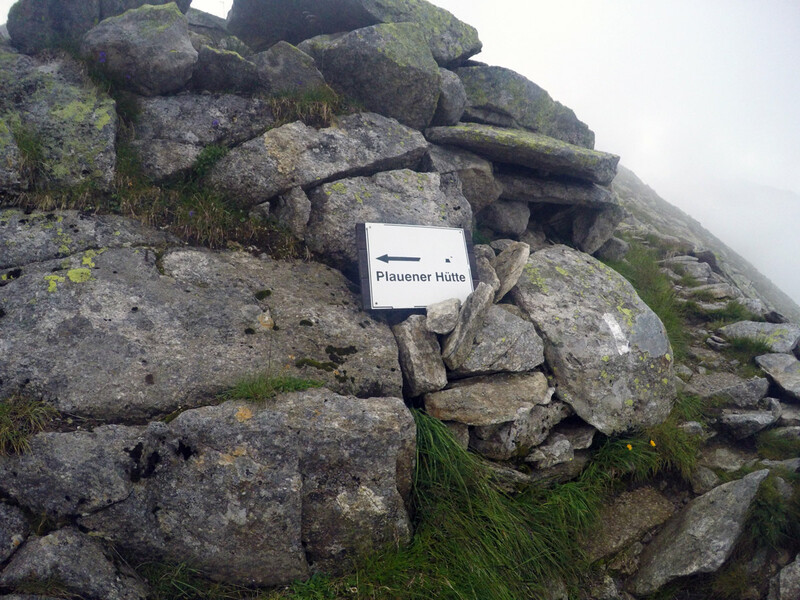 The Plauener Hütte is a self-servicerestaurant, you order at the window instead of waiting for service. Have a look to the left while hiking up to the alp, depending on the month you can see the rest of the glacier with its huge ice masses. At the Bärenbadalm you should try the cakes, they are the best around.